When times are tough it is essential to keep an eye on costs and make changes to your outgoings where possible. 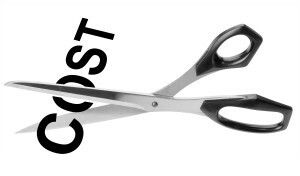 There are a variety of ways in which you can keep costs down and therefore maximise your profits. These changes are not necessarily time consuming and do not need to take a huge amount of effort to sort out as a lot of companies now will have practices in place to make transitions as smooth and care free as possible. Have a look around your office; are there empty seats dotted around? Are there meeting rooms that are barely ever used? How about space that is not being utilised to its maximum potential? You will need to analyse whether you are making the most of the space that you have and if you are not then how you can make changes. If you are planning on expanding and are hiring more people then you may need a little extra space so that you will have room for the new team members. However, if you are just starting out or are perfectly satisfied with the current pace of business and donât intend to change, you may want to downsize your current work space. You could be paying a huge amount of rent each month for space that you are barely using. A smaller office could not only save you money on rent, but also on utilities and it can help if all of your team are a little closer together. It will help to create a team environment where everyone works together. You could save a significant amount of money on payroll figures by hiring staff that do not necessarily have the amount of experience that you would usually look for. There are a huge number of recent graduates who are searching for jobs in business throughout the country. University education will have given them the knowledge and ability to carry out the majority of the tasks that you require. All that will be needed is a little more training to make sure they are comfortable with the processes. You will no doubt be pleasantly surprised with the quality of work you receive and a bonus is that you may not have to pay them as much as you would to someone that has 10 yearsâ worth of experience within the industry. However, make sure that you do not take advantage of this and pay a significantly lower sum than they would expect as you could have a very high turnover rate. Your bills can be extremely high within an office environment as you are constantly connected to the internet, using lights and making phone calls. One way to tackle this is to reduce the cost of your phones and implement a system that is right for you. Make sure you shop around with a variety of companies and see how they can tailor a system to your specific needs. This post was written by Amy Bennett who has recently installed a new VOIP phone system from Midland Telecom. It was installed with minimal disruption and has significantly reduced her outgoing costs.